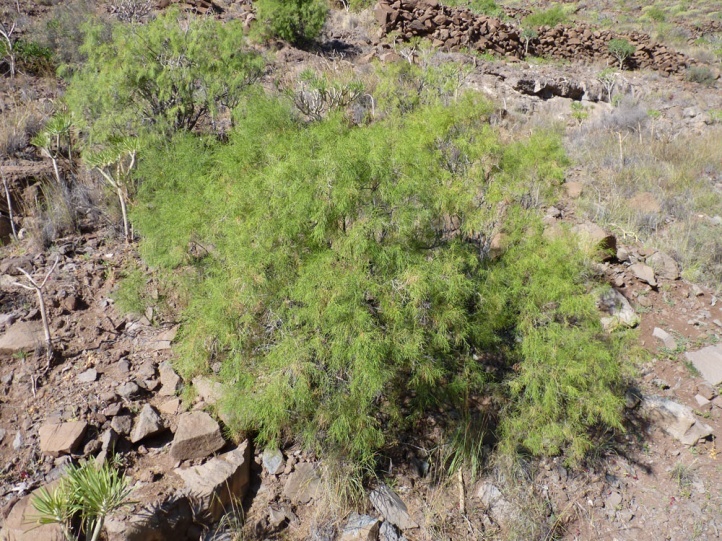 Rubiaceae, particularly Galium verum and Galium album. 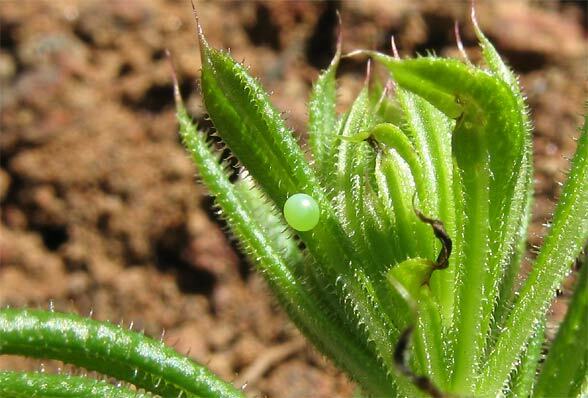 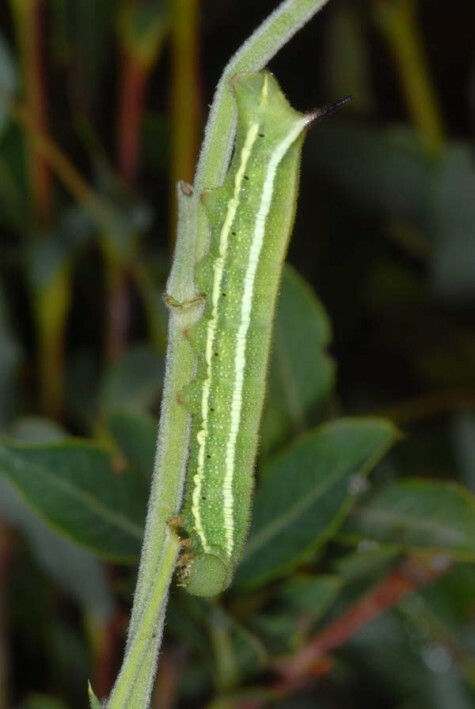 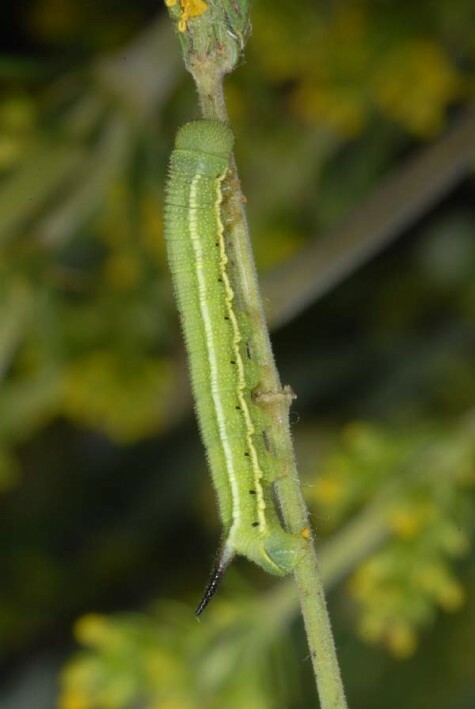 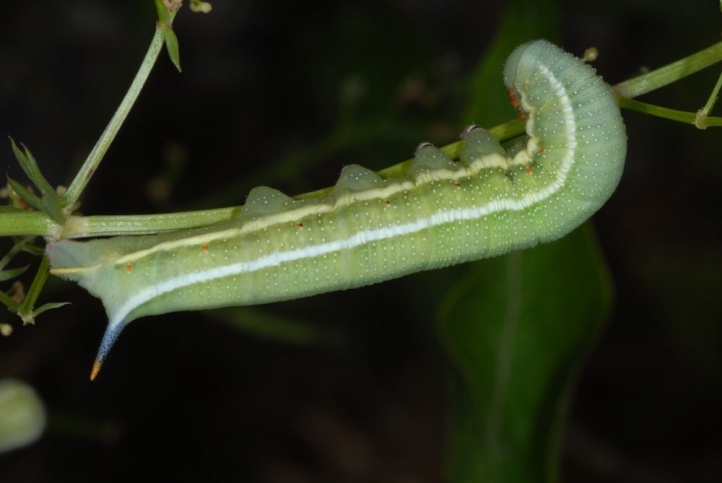 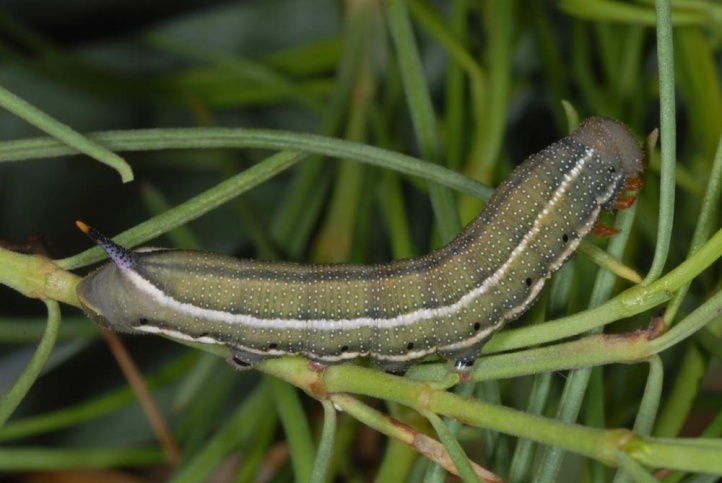 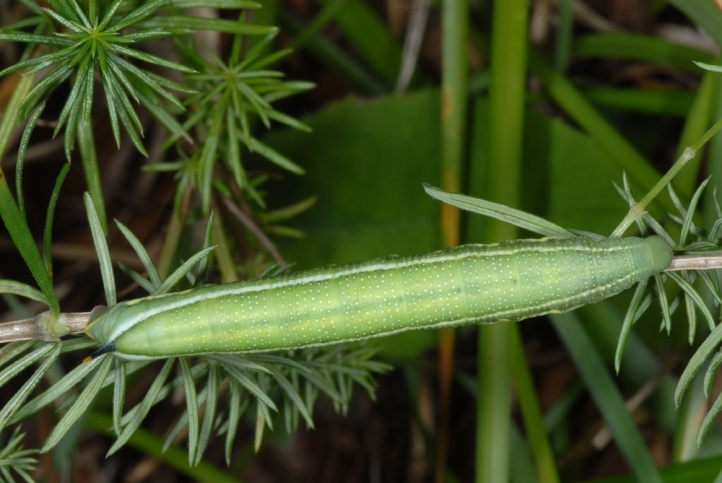 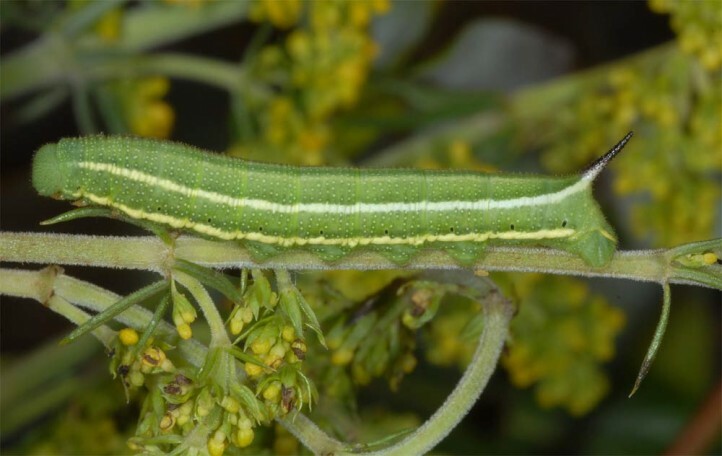 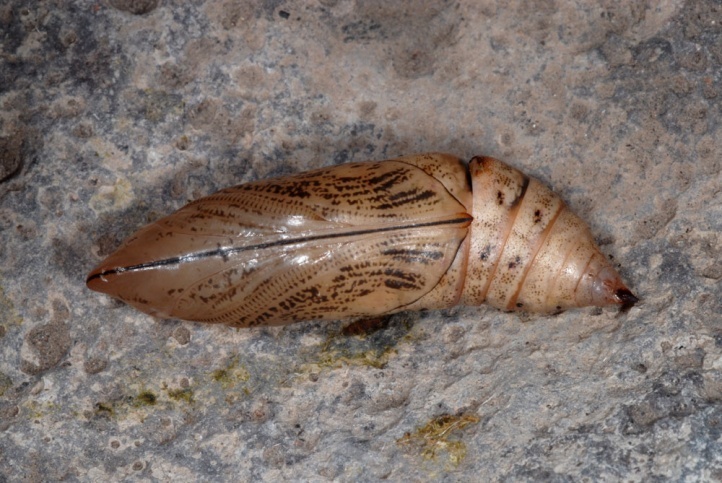 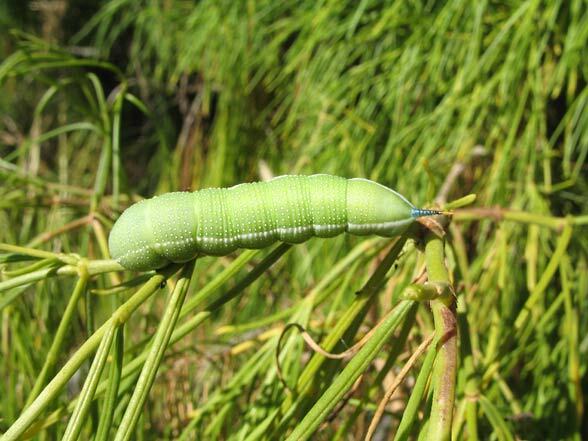 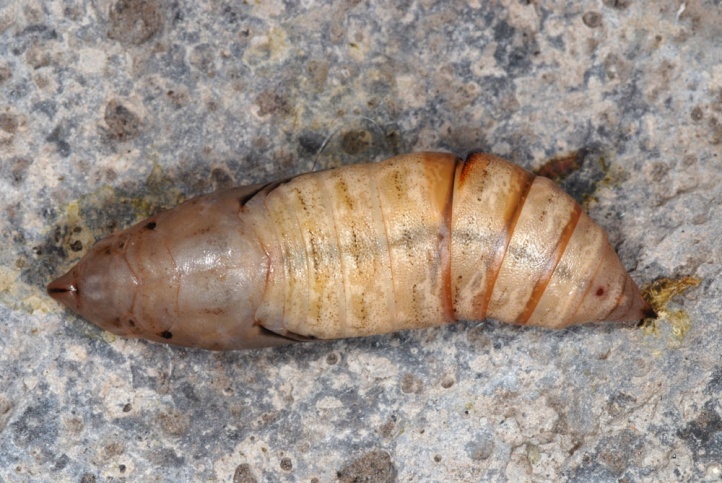 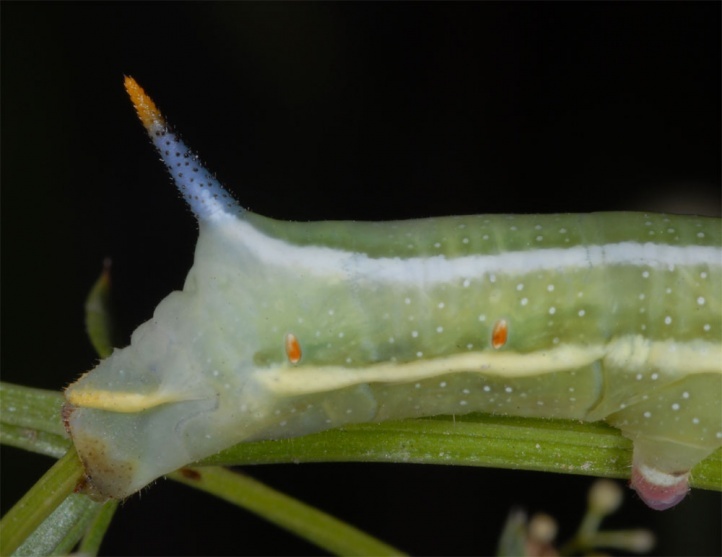 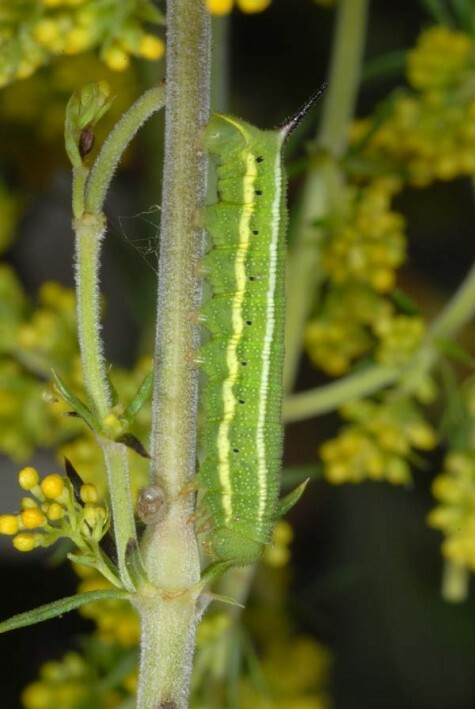 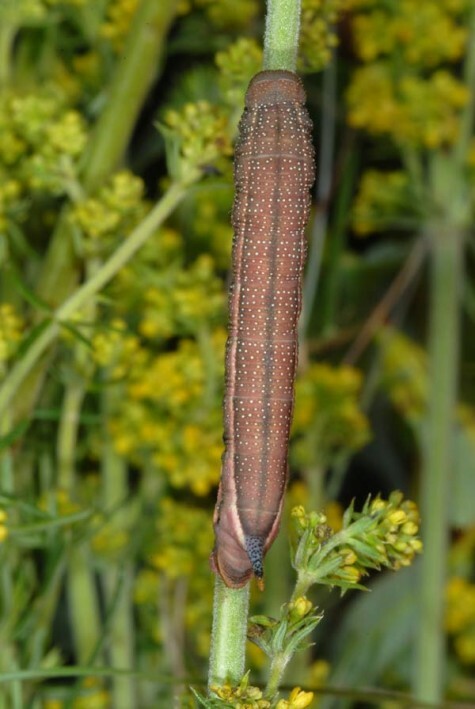 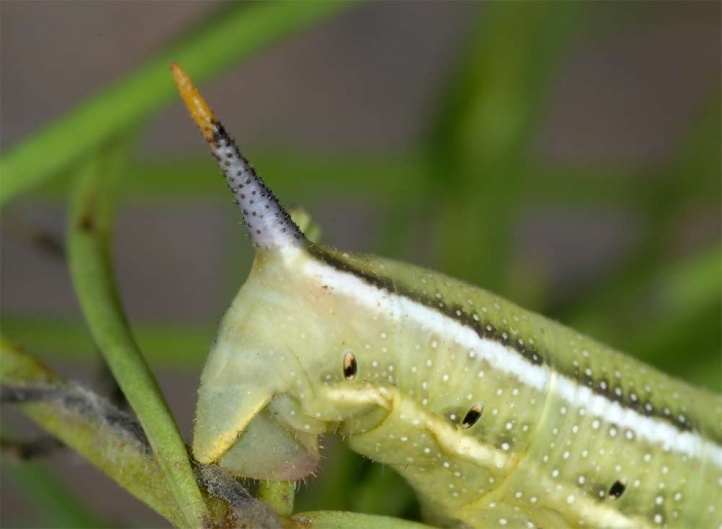 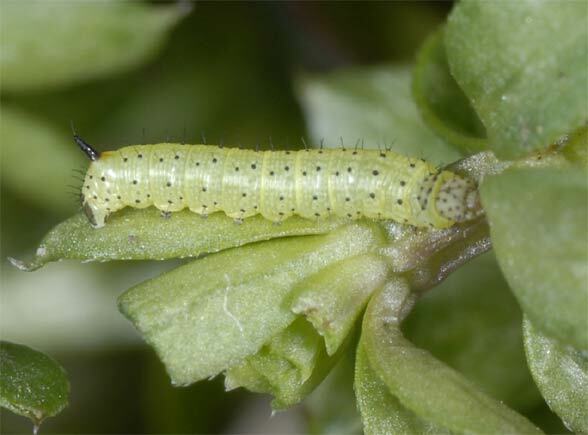 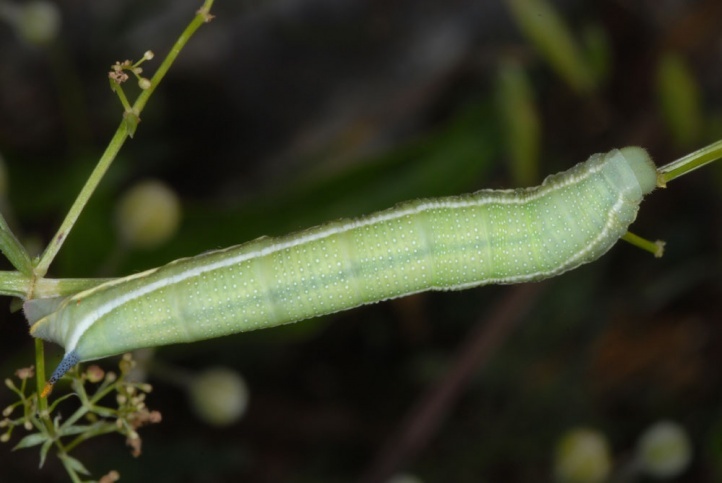 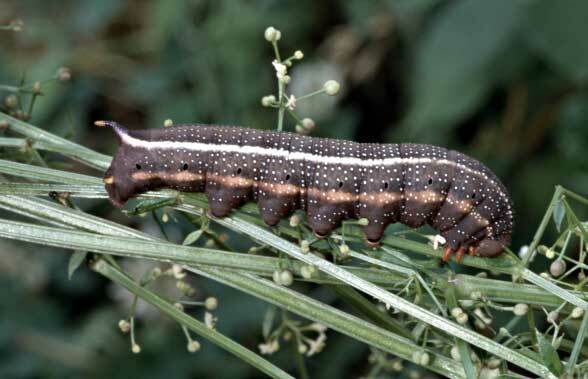 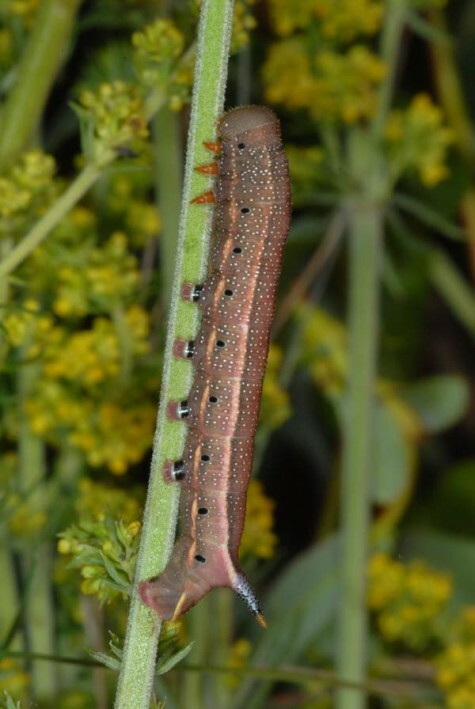 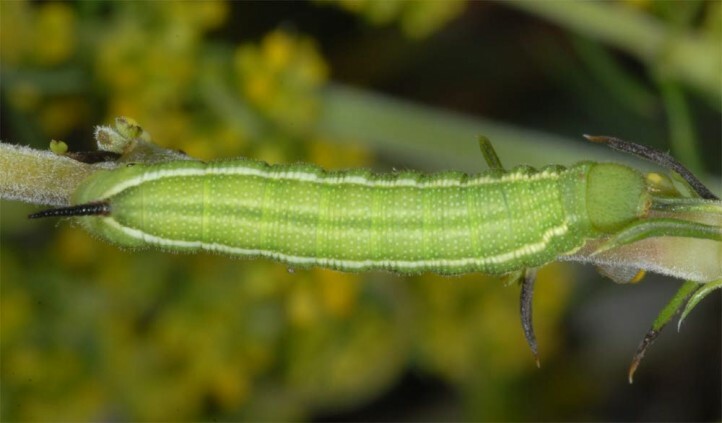 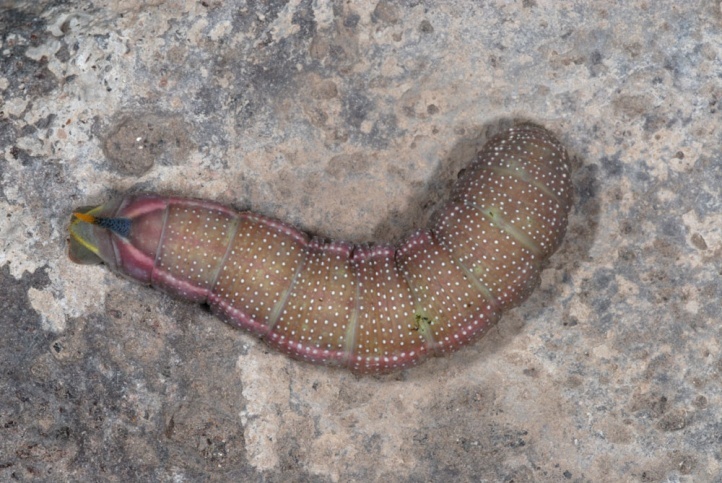 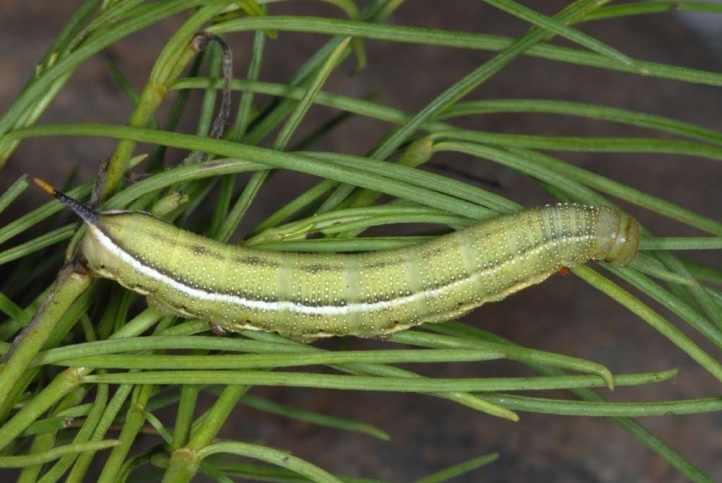 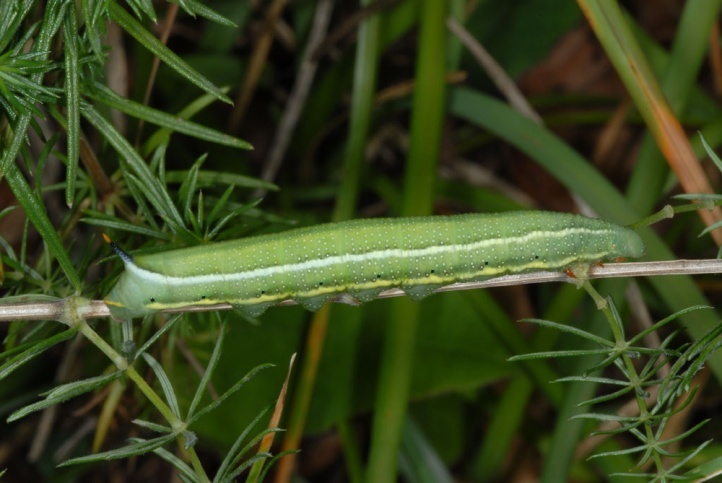 In La Gomera I found many larvae in March 2006 and February 2013 in warm, dry coastal areas on Plocama pendula, a shrubby Rubiaceae species up to 5m in height. 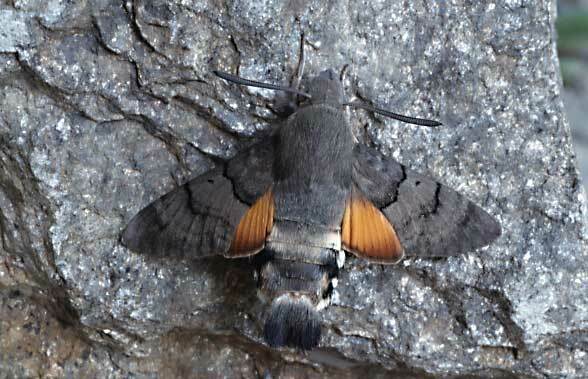 Macroglossum stellatarum inhabits all kinds of open land, mountain pastures, settlements and large clearings, but can, in principle, appear everywhere. 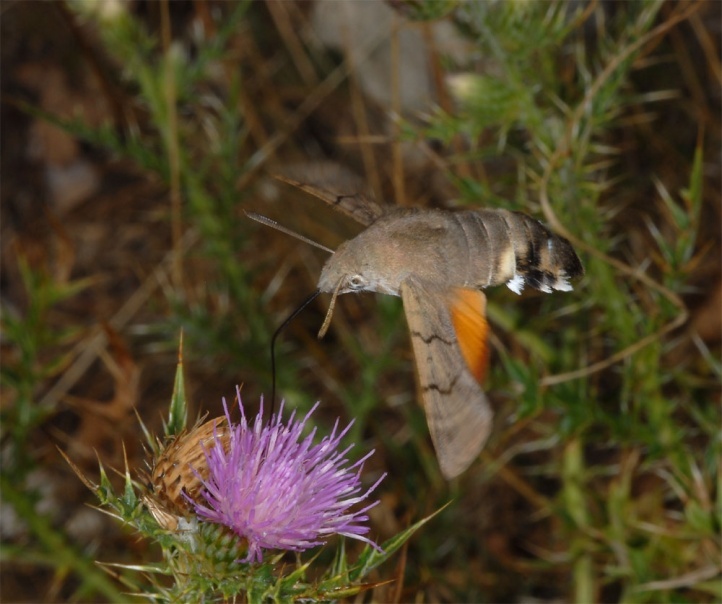 Macroglossum stellatarum is a migrant that can only sometimes survive winter in Central Europe in warmer regions and mild years. 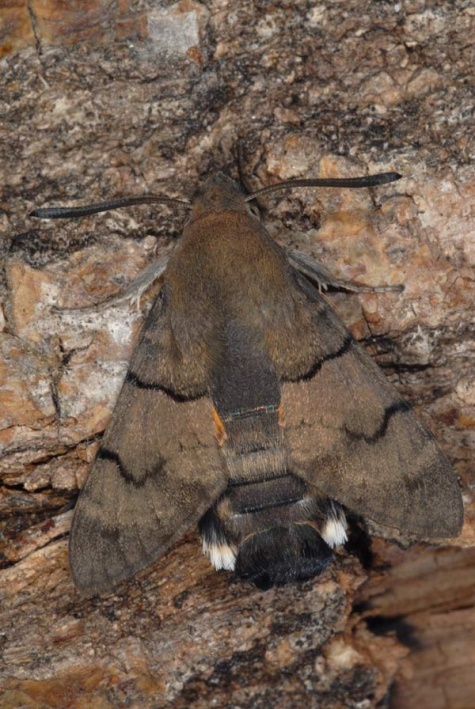 Macroglossum stellatarum is the only European sphingid that overwinters as an adult. 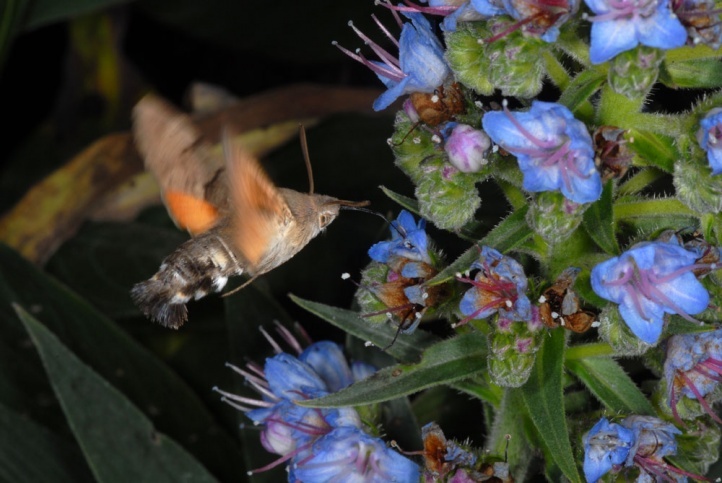 The abundance is dependent on immigration from the south. 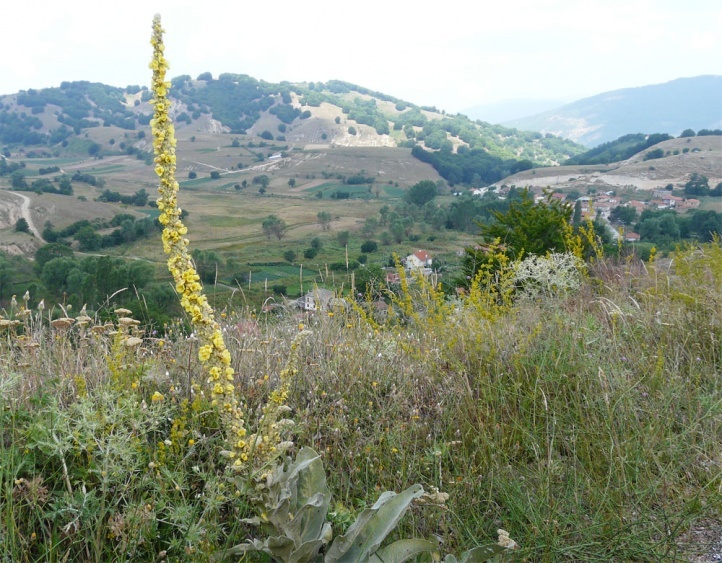 The immigration to Central Europe occurs especially from May to July or even later. 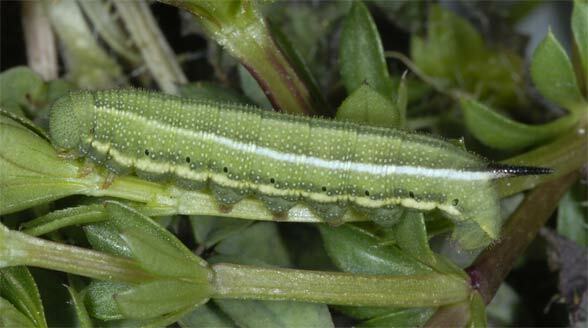 The caterpillars live from June to August and sometimes even in September/October (in hot years like 2006). 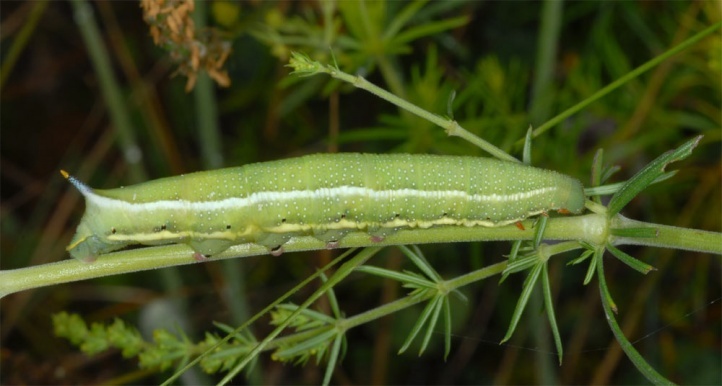 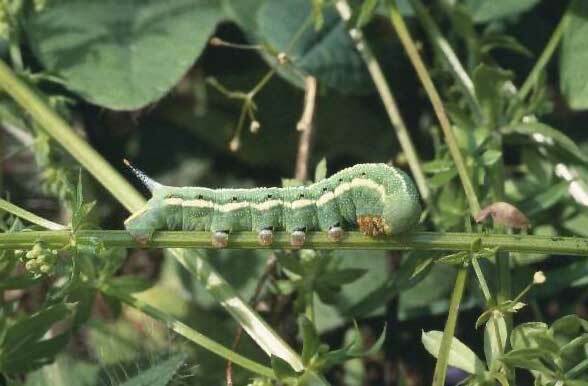 In Central Europe every year countless caterpillars are destroyed by excessive mowing of the meadows and roadsides, but this has probably little impact on the migratory species. 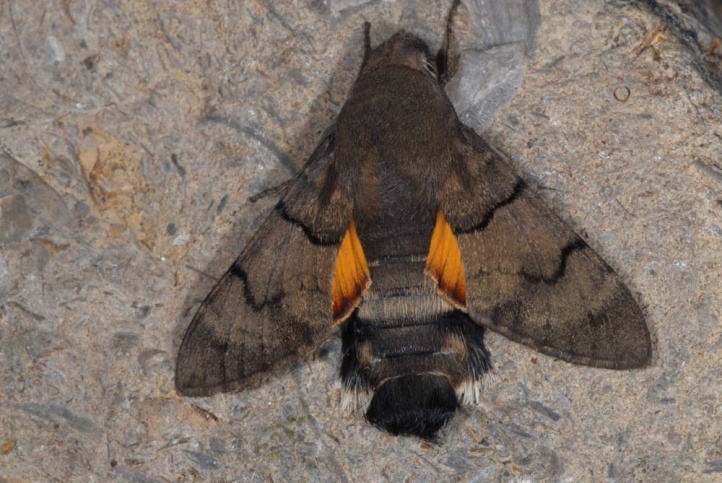 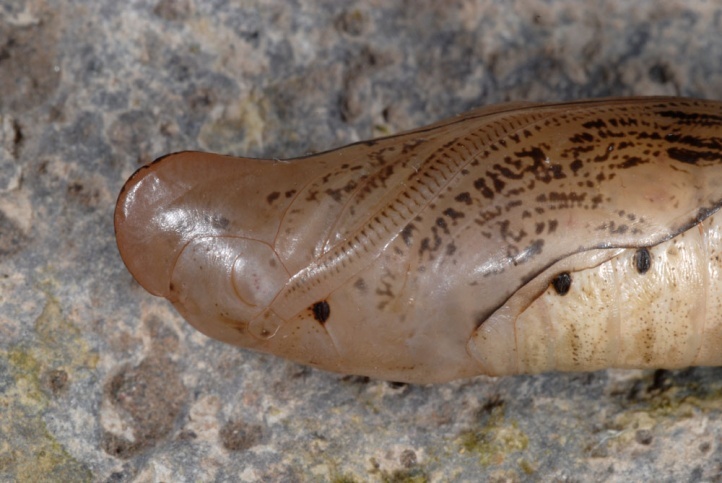 Sometimes you encounter hibernating adults in sheds, etc., but they often do not survive. 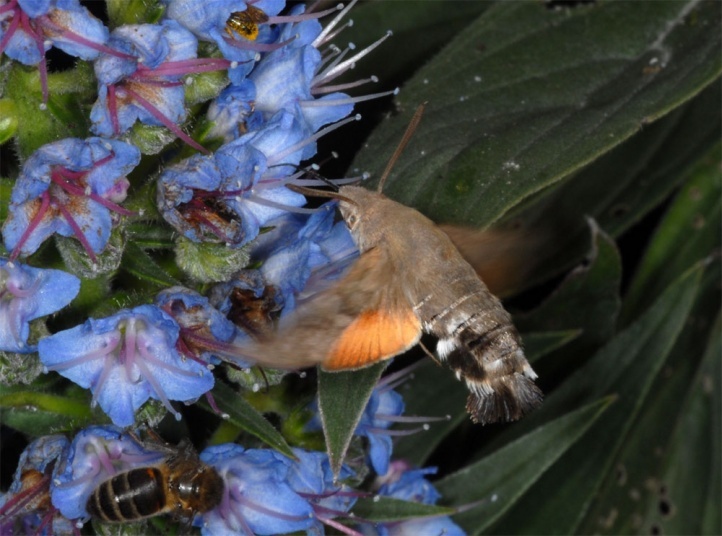 Macroglossum stellatarum is known to the layman as hummingbird on window boxes and in gardens. 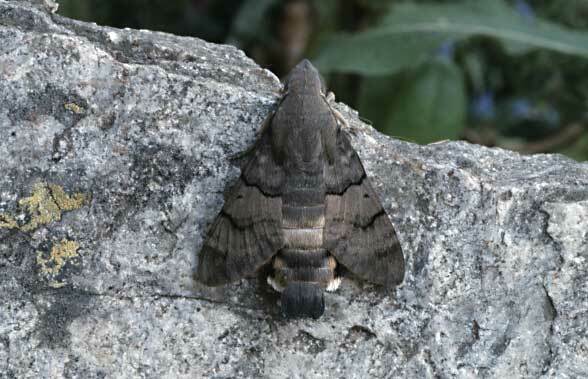 The distribution ranges from Africa across Europe and Asia to Japan. 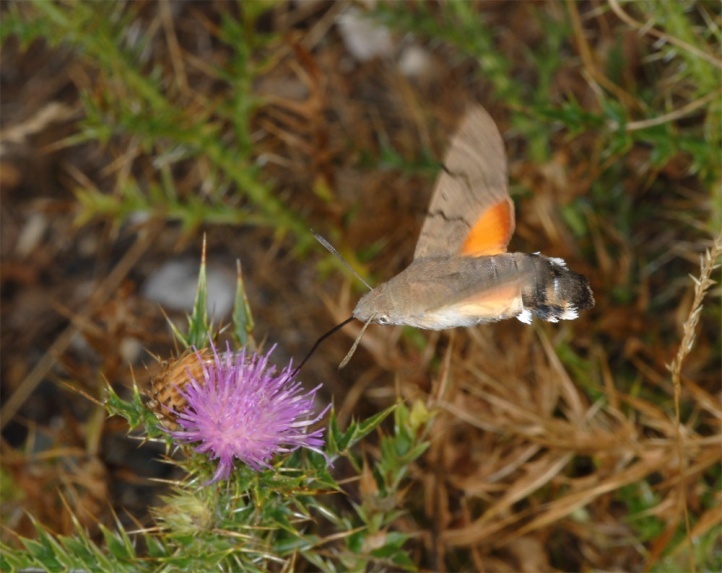 In Europe Macroglossum stellatarum is indigenous especially to the Mediterranean region. 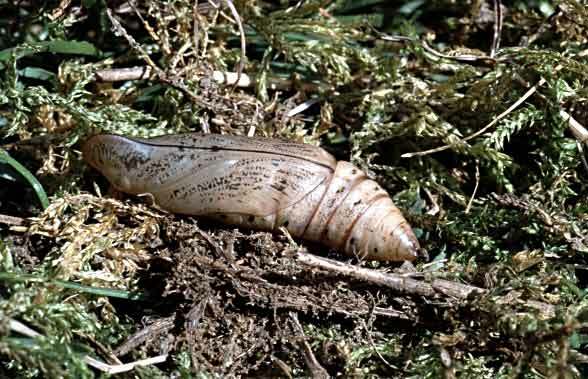 With the increasement of global warming more and more adults can survive mild winters also north of the Alps.